NetEnt is well known for making some of the most enjoyable video slots in the industry. We are thrilled to inform you that Super Nudge 6000 is no exception. If you love slot machines, you will love this classic slot. Whether you want to play this slot on your desktop, laptop, iPhone, iPad, or Android; you will certainly find the effort quite rewarding. The Super Nudge 6000 video slot is a classic casino game in every sense of the word. You can play for free, or you can play for real money. The most important thing is that you have a great time. With the many fruit symbols this slot resembles many of its predecessors. However, there are differences that make this entry unique. This is a 2 x 3 reel, 5 win line slot. The payout percentage is 97.2%. There are actually 2 sets of 3 reels. One is for the main game and one is for the bonus. This classic video slot takes us back to a time when life seemed a little simpler. The background displays a 1950’s American diner. You can almost hear the jukebox blaring out one of the many great hits of the day. Your taste buds are teased with visions of a classic burger off the grill and a refreshing ice cold shake. For a brief period you will imagine you are in that diner playing a classic video slot; that is what makes the Super Nudge 6000 video slot such a winner. If you are playing for fun than your goal is to win as many coins as possible. Obviously, if you are playing the Super Nudge 6000 video slot with real money, you want to win some money. You win coins when you spin and fill the 3 reels with 3 of the same fruit symbols in a row. The fruit symbols used for the main game include includes watermelons, grapes, lemons, and oranges. Other symbols include dollar signs and bells. The bonus game uses pears, cherries, grapes, and water melons. Other symbols you will find are the number 7 and crowns. How much you can win on the main 3 reels depends on if you choose to play 1 bet, or 10x the bet. When you make the decision to only play 1 bet, you will only have a chance to win on 1 pay line. If you decide to go with 10x the bet you can win off of all 5 pay lines. On the main 3 reels a set of 3 will pay 10 on 1 bet and 20 on a 10x bet. The same applies to the lemons. The grapes pay 30 and 60. The watermelons pay 40 and 80 and the bells pay 50 and 100. The goal is to get 3 dollar signs in a row that pays 200 on a single bet and a whopping 6000 on a 10x bet. The 3 bonus reels is set up differently. The bonus game comes into play when you play a 10x bet. 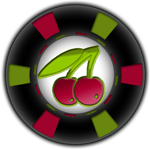 The cherries and lemons will pay 20 coins when you get 3 in a row. The grapes will pay 60 and the watermelons 80. The lucky 7’s will pay 100 and the crowns will pay between 300 and 6000. How much you can win on the bonus round is directly related to your bet. Although, unlike many classic video slots, this one does not have a wild or scatter, but what it does have is an outstanding feature known as the nudge. Anytime you make the maximum 10x bet you automatically become eligible to play the bonus round and earn nudges. This is an awesome feature. How many nudges you can win depends on how much you decide to wager. There is a convenient super meter that nicely displays your winnings. You can win between 1 and 3 nudges depending on your bet. These nudges also offer free spins and bigger payloads. You have the choice of betting 20, 40, or 60 coins. The 3 crowns present the mystery award of between 300-6000. Upon completion of the bonus spin your winnings will be transferred to the main game for your convenience. The combination of sound and sight truly enhance this classic video slot from NetEnt. You will feel right at home in the quaint 1950’s diner atmosphere and the graphics are quite engaging. Everything seems to blend together well in the Super Nudge 6000 video slot. The Wild Rockets Video Slot is another outstanding casino slot from the team at NetEnt. This slot offers 720 chances to win. The fireworks explode in the Wild Rockets and really provide a magnificent gaming experience. The Mega Joker Video Slot is another winner from Net Entertainments portfolio. This slot reflects the outstanding slots you often come across in clubs all across Europe. Although this entry does not have a traditional bonus feature or nudge features; it does allow the opportunity to win up to 2000 coins. If you like a fast-action slot; you will really enjoy Mega Joker. Thanks to NetEnt Touch, you can enjoy Super Nudge 6000 on all of your favorite mobile devices. The app allows you to play on the iPhone, iPad, and Android. You can choose to play this video slot at a slow or fast pace. In addition, you can play for free, or you can play for real money. If you are an avid gamer you will appreciate the overall feel of this classic video slot from Net Entertainment. It is easy to play because the information is right in front of you. You can easily keep track of your progress and know exactly what you are winning or losing. Give this slot a try. Take a journey back to a 1950’s diner, spin the dial and let the fun begin.